There are a ton of reasons to get a new turntable considering how great the quality of table is for many brands nowadays. Many turn to Pro-Ject for their new table, especially if you are interested in top tier quality for an affordable price. Below, please use the interactive table below to compare some of the best turntables (Pro-Ject and other brands) against one another to discover which is best for you. 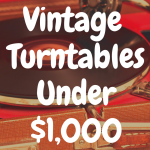 The 1990s might not seem like a great time to start a turntable business. With CDs and cassettes dominating popular audio listening for most individuals, a lot of record stores went out of business, and many major labels began cutting back on their vinyl pressings. 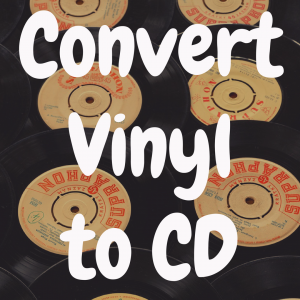 For a lot of people, CDs were the future and vinyl was the past. Cassettes were the cheap option, but offered very little audio quality. Likewise, the ripping and digitization of audio onto CDs took its toll on fidelity, which is where Pro-Ject saw an opening. Rather than move on from vinyl, they saw it as the primary source of quality audio, even as it diminished from popular use. When the Pro-Ject 1 launched, it was only available in Europe, but it did not take long for the company to establish itself. Even with vinyl becoming less utilized, Pro-Ject CEO Heinz Lichtenegger believed for fans of audio quality and listening experience, vinyl ruled supreme. The Pro-Ject 1 was a great debut, but as turntable fanatics began to chime in about what they wanted to see, the company increased the amount and types of turntables they were designing. This allowed customer experience to dictate product development, and not the other way around. Flash forward to 2019, and it is funny to think that anyone believed vinyl records were dying. Turntables are now booming, and record stores, yes brand new record stores, are being opened. It’s a great time to love vinyl, and Pro-Ject has survived as a leader in audio fidelity and turntable manufacturing. Utilizing factories and minds from all over Europe, Lichtenegger and his vision have been realized, and copied, by many since 1991. With a slew of turntables to choose from, Pro-Ject has something for everyone, but these six are the ones you want to keep your eye on next time you are in the market for a turntable. 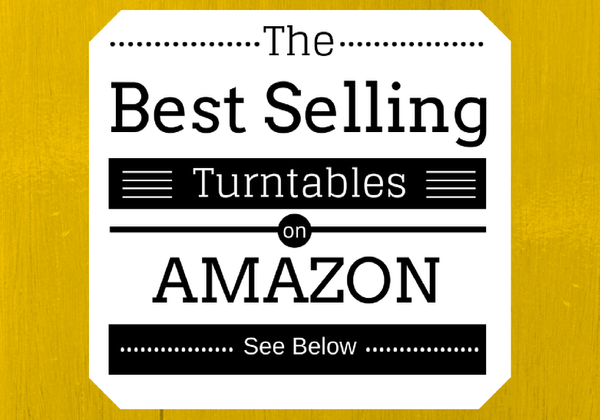 With a great balance of quality and budget-friendly pricing, start here when you look for a new turntable. Pro-Ject designed this option with a lower budget and lower expectations in mind, but counters those shopping for an introductory table to be able to afford a high quality alternative that comes complete with an Ortofon cartridge. The new Elemental table is a real “plug and play” all the way. No adjustment of counterweight and anti skating is needed, because both are adjusted during manufacturing to ensure when you receive this table, it is ready to go. This new straight ultra low mass tonearm is optimized for Ortofon OM cartridge series. All the buyer needs to do is remove it from the box, remove bearing guard, locate the belt around the platter, remove stylus guard and plug it in. The only plastic on the Elemental is the stylus guard, meaning that while it aims for the plug and play audience. The hidden secret to the new table’s sonic success, is a central gravity mass point, made from artificial stone and placed directly underneath the platter bearing. It is capable to fully absorb unwanted rumble and motor vibration. This turntable appears to be pure simplicity itself, while maintaining high quality audio standards. 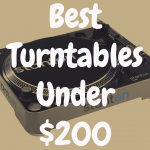 When I bought my first turntable, it was a lower price entry level table, and if this had been on my radar, I would have been a lot better off than the budget table I started with. The first Debut turntable, introduced in the late 1990s, was a revolution for the hi-fi industry. In an age of CDs and cassettes, vinyl was imagined to be over, but this offered audiophiles something very sought after. An affordable, enjoyable listening experience for those who still craved LPs and quality sound. The new Debut Carbon (DC) was designed to set new standards in this category for the coming decade – perfectly timed as analogue today is again a respected source, while the demand for good turntables is growing again. The most obvious improvement is the inclusion of a carbon tube for the tonearm, which increases stiffness and decreases unwanted resonance. This material normally is extensively used in high-end tonearms, but – because of cost reasons – was never used in products at lower price levels. Together with other improvements like an increase in platter size and weight to realize even smoother rotation, the overall sound quality is greatly improved. The approved belt drive design offers low noise AC motor with effective motor decoupling, by utilizing TPE-damping, and ultra precision frequency DC-driven AC generator for ultimate speed stability without unwanted vibration. The Debut Carbon (DC) is offered in high-gloss black, shiny red, green, blue, yellow, silver, white or as walnut mat. With color options, an incredible boost to the tone arm, and a table that gets to the heart of why vinyl records have stuck around this long, the Debut Carbon should be on your radar. Getting back to those looking for a modern plug and play experience, it’s not often that vinyl records are all you want to be able to play. The Juke Box E is record player, phono stage, Bluetooth receiver, line pre amplifier, and power amplifier in one, requiring only a pair of speakers to make a complete system. If you thought that a starter turntable system is complicated to set up, Juke Box E proves the contrary. This good sounding belt-drive deck offers the fastest possible installation process because it comes pre-adjusted out of the box and offers superb sound quality. Tracking force and anti-skating of the turntable section are carefully designed during manufacturing to ensure everything is pre-set for you. An acrylic dust cover is included. The Juke Box E is available in high-gloss black, red or white color, and the finish evokes feelings of 50s diners and the jukeboxes that everyone lined up for to hear their favorite single. A bit of history, but a lot of modern frills, go into the Juke Box E, making it a fun, affordable option for quality sound. 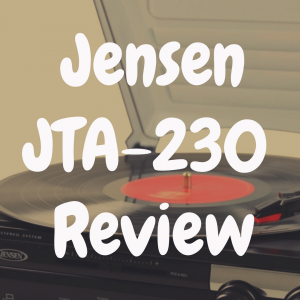 Something a lot of newcomers do not have much exposure to is the idea of a vertical turntable. Many imagine their setup being a long, strategically designed cabinet style layout, but the VT-E strikes all of those expectations down. A turntable setup does not need to be complicated like rocket-science, and the VT-E turntable proves that. This good sounding belt-driven deck offers two versions for left– and right-handed users, making it as accessible as it is visually appealing. The VT-E turntable can be positioned on a table or mounted on a wall. That’s right, imagine spinning your records, safely, on a hanging turntable that lays flush with the wall. The fastest installation process is made possible, because it comes pre-adjusted out of the box. No further set-up is needed. Tracking force and anti-skating are carefully set. The turntable is available in black matt, red matt or white matt color. With a pre-mounted Ortofon OM5e cartridge and special mechanism for perfect tracking in vertical position, this table will look great while also playing your albums at a very high quality. Many are a little frightened by the vertical design, but make no mistake, your records are safe and stylish on the VT-E.
With a few turntables in this line under its belt, Pro-Ject has designed a turntable better than ever at playing records with high quality sound thanks to high quality design. The Essential III offers a variety of enhancements compared to its successful predecessor, such as a diamond-cut aluminum drive pulley, a resonance-optimized MDF main platter and MDF chassis. The refined, high-precision platter bearing has significantly lower tolerances than Essential II. 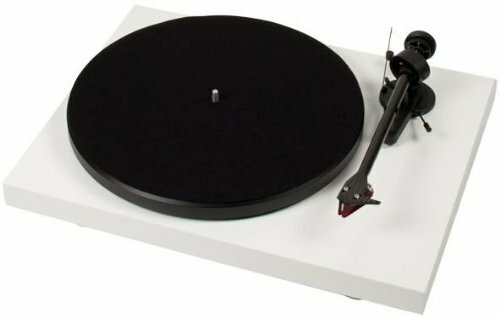 Essential III is the audiophile entry turntable, meaning that for a great price you can have a table that competes with others two or three times its price. 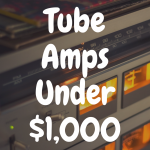 The setup is very simple thanks to the included Phono RCA cable, Connect it E, making it sound far above its price range. Equipped with the high-quality pickup OM10 by the phonographic cartridge pioneer Ortofon, Essential III delivers lively, balanced and highly involving sound that will delight every vinyl lover. The Essential III comes in the aesthetic high gloss colors black, red and white. If you want the audiophile experience for a bit less cash, this is the turntable you are looking for. So what is the big difference between the Project Essential III vs Essential III Digital? Well, because with the Essential III Digital, you get a digital/optical output on the back. The RPM-1 Carbon utilizes a lot of innovations and enhancements, including a low resonance chassis holds a newly designed inverted platter bearing with ceramic ball for further reduced rumble. An outboard 15V AC motor is smoothly driven using an ultra-precision AC generator with DC power supply for further enhanced speed stability. A completely new designed S-shaped tonearm tube is made from carbon fibre, aluminum and resin. Using a complex 3-step process with heat treatment and 100 bar pressure, arm tube rigidity is strengthened, internal damping is maximized and resonances are reduced to a minimum.This makes the tonearm also suitable for MC cartridges. You need to consider Pro-Ject if you are serious about vinyl and the listening experience. Fans of vinyl love the experience for the physical act of listening, and a big part of that is sound, sure. Another major part, however, is the look and feel of the turntable onto which you place your favorite record. 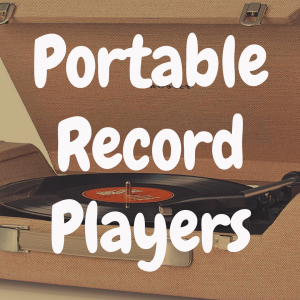 When you want to revisit an album from your youth or experience a new record for the first time, the turntable you use matters, and will forever be on your mind when you hear that album again. Pro-Ject has perfected the vinyl experience over the years, and they have done so with the consumer in mind. Luckily, that means great hardware at a cost you can stomach, and with higher end options for those able to dish out more dough, these popular Pro-Ject turntables covers the gamut of listeners, and stays true to their original vision.